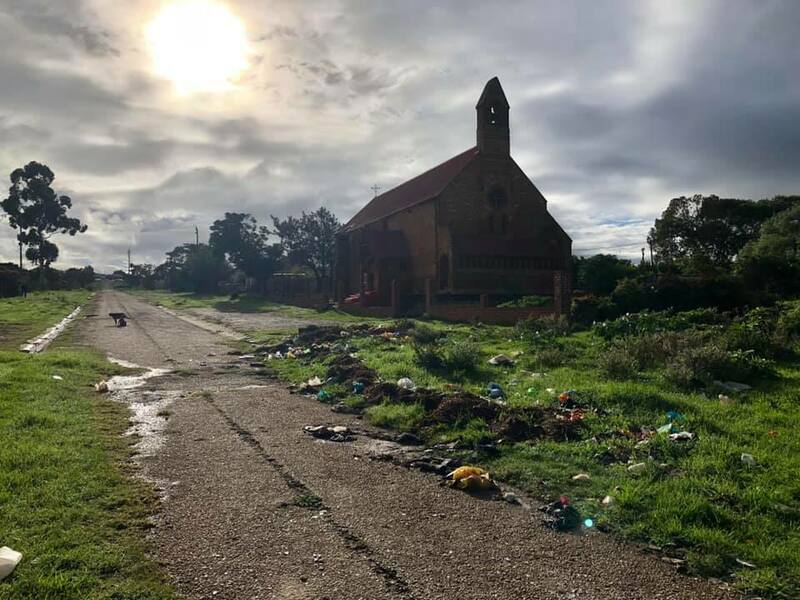 The area around St Philips church in Grahamstown had become full of litter and dirt , a site of illegal dumping for many years. The Grahamstown Project is working in partnership with St Philips Anglican Church (Fingo Village) to transform St Philips Church and grounds into a Tourism Site. The church was built in 1860 and has cultural, spiritual and historical significance. It’s humble beginnings but we hope to attract many locals and foreigners to visit the church. The initiative will create jobs and entrepreneurial opportunities. Surplus funds will be invested in repairs & maintenance to the Church and grounds. Step 1 of the plan began with a mass clean-up of the grounds on Saturday ‪6 April 2019, 8:30am – 4pm‬. The Community of Grahamstown came together with the Grahamstown Project under the spiritual guidance of Rev Gwen Mvula in a true community clean up day.